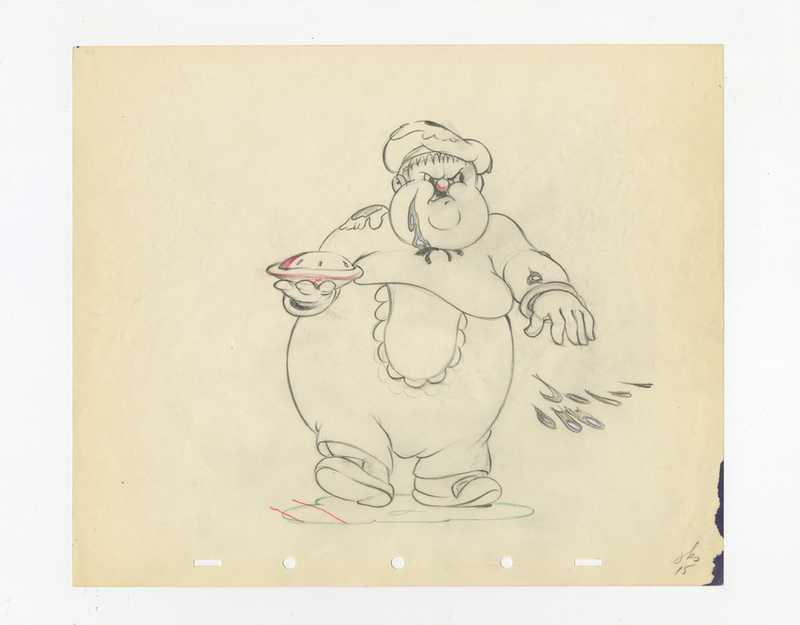 7.5" x 7.5",7" x 6"
This is a pair of original production drawing from the Walt Disney Studios production Mother Goose Goes Hollywood (1938). 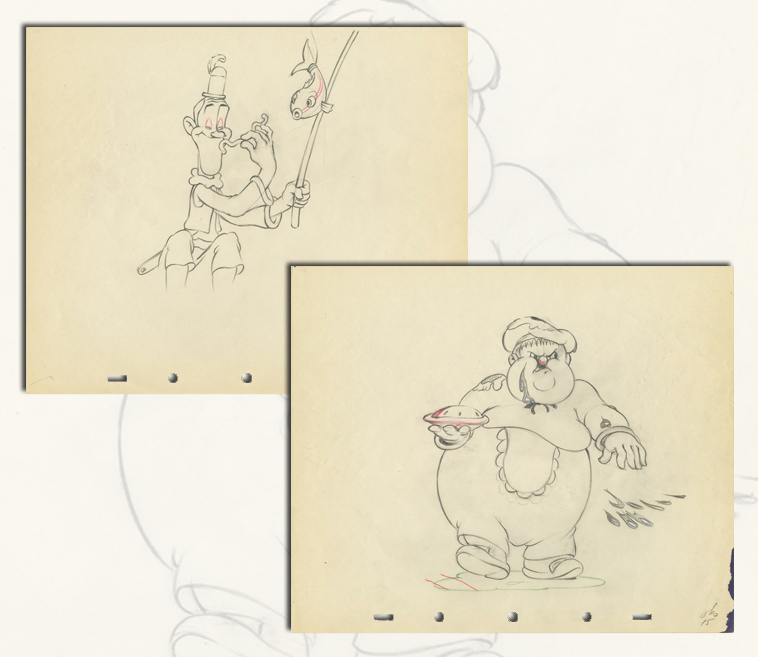 The drawing features caricatures of Stan Laurel and Oliver Hardy, as the mother goose characters Simple Simon and the Pieman. 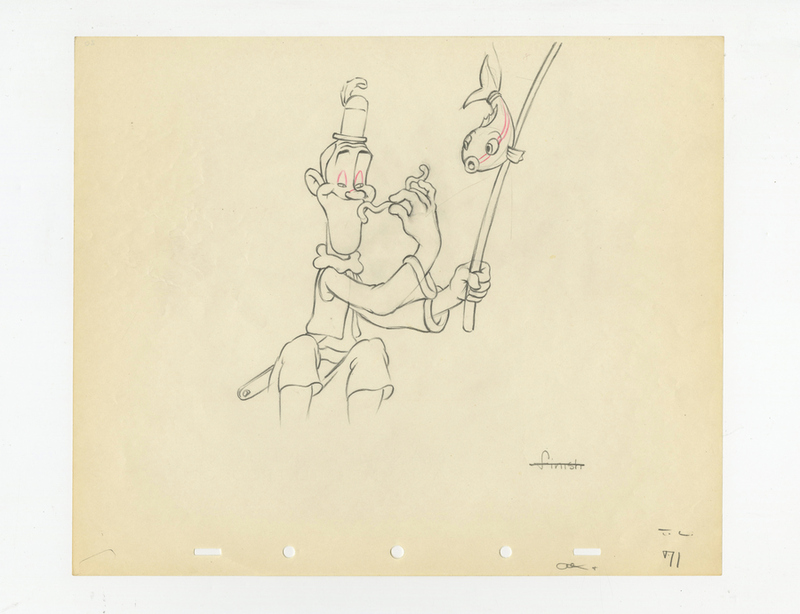 It was created at the studio and used during production. The overall measurements of the piece are 10" x 12", with the image itself measuring 7" x 7.5". This piece is in good condition with some page wrinkling throughout.